From the range of furniture products to choose from @home brings to you Diana 1 seater sofa from Nilkamal collections in aesthetic dark brown color. This sofa has a solid build and is made up of solid wood. For a comfortable seating experience, thick high-density foam with high-quality fabric is used. The back of the seat is constructed with a recron to give comfortable experience. The solid wood frame gives it a sturdy nature. The legs of the sofa are made up of plastic. The upholstery is of utmost standard and is done with the help of PVC and fabric. 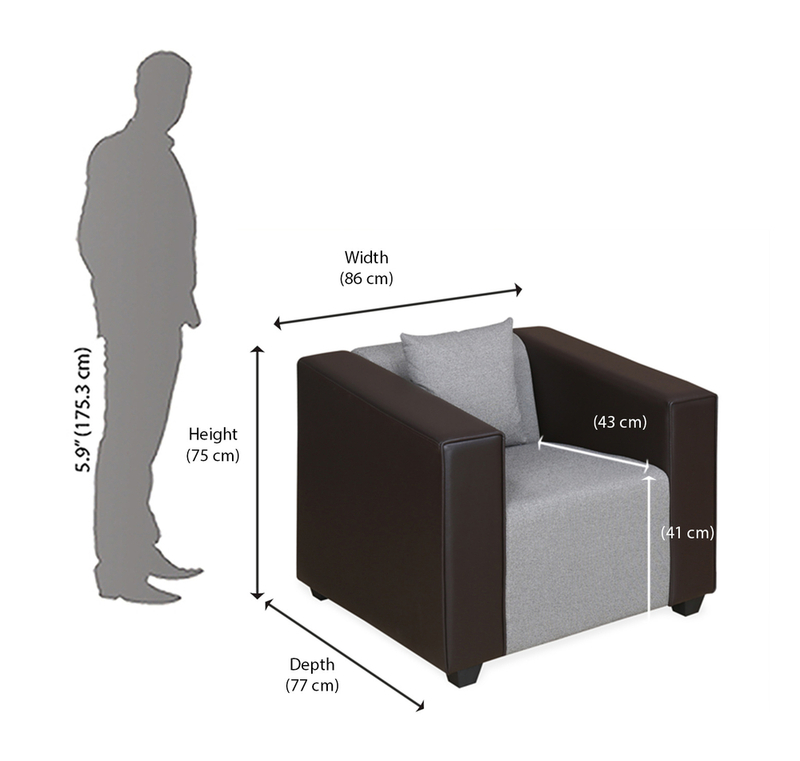 It gives a standing height of 750 mm and width of 860 mm which gives a comfortable seating. Webbing on seat provides maximum comfort while seating. It weighs around 20 kg and can be carried from one place to another with minimal help. The dark brown color gives it a classy look. The Diana 1 seater sofa can be used in multiple locations be it in your house, office, hotel, etc. it can easily blend with any location and can increase the beauty of the place. The Diana 1 seater sofa is part of the latest models in these range of sofas. You can buy this amazing product today from @home at minimal cost. Fabric provides comfort while seating.Webbing on Seat & back provides maximum comfort while seating.Solid Wood Frame gives sturdiness to Sofa.